How long has it been since there's been a revolutionary new piano? 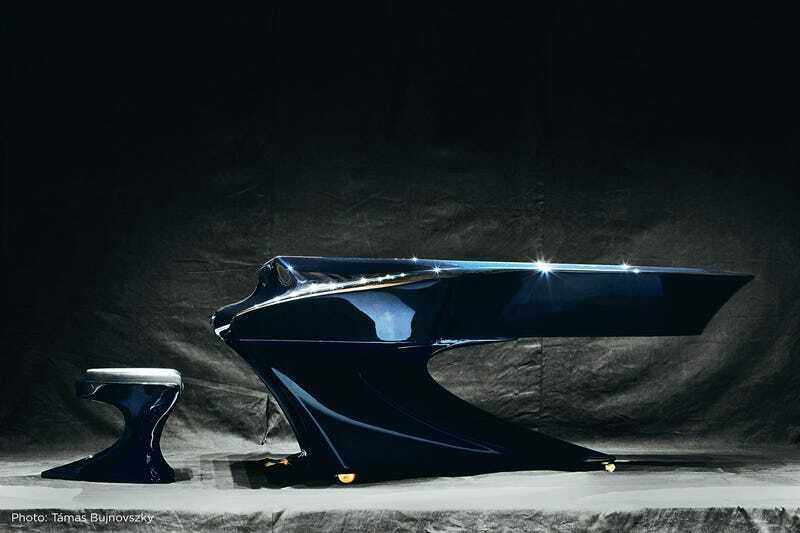 The piano we're all used to seeing became the standard in the late 1800s, and now Hungarian pianist Gergely Bogányi has designed one that looks like it could be on a spaceship. The new design, produced by Bogányi and an assortment of engineers, designers, and technicians over the course of ten years, puts the piano on two legs instead of three in order let "sound to reach the audience with higher efficiency and more clarity." And, according to the Bogányi piano's site, the curved shape "creates a supporting effect, thereby conducting the sound, from below the piano, towards the audience." It's also got a new composite soundboard that the strings vibrate against. The new soundboard is more resistant to atmospheric conditions like heat, humidity, cold, etc. — which means it needs less maintenance and holds its tune longer.